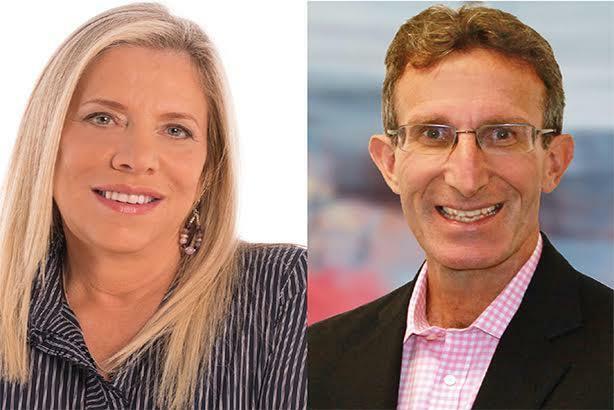 Marketing and communications veterans Marian Salzman and Peter Land take sides on whether Pepsi's ill-considered ad starring reality-show star Kendall Jenner spells doom for in-house agencies. The ad behind the recent Pepsi debacle was conceived in an echo chamber and not gut checked with real-world, diverse consumers. Could using an outside agency have prevented the embarrassment? Perhaps. Are in-house agencies doomed to fail? If they are insular, yes. It’s not a matter of who owns the agency: in-house versus independent, big versus creative boutiques. The real issue is insular versus open. This includes being open to input at all levels — including consumer testing and feedback ahead of the big reveal. While testing can occasionally dull great creative expression, it can also ensure blooper avoidance — although the Pepsi catastrophe was bigger than a blooper. The risk of being insular is the expanded and commercial version of the echo chamber effect: We naturally seek out sources that support our beliefs. Generally speaking, Trump voters socialize with others who share their political views, as do Obama supporters and Sanders fans, etc. We like the sound of our own thoughts and love to hear our brilliance repeated. Many companies are echo chambers, and teams become isolated. From where I sit, this isn’t a debate about agency versus in-house, but about genuine diversity of thinking styles, perspectives, ages, sexual orientations, and, yes, taste. How can we curate that kind of uncomfortable Petri dish where all voices — even the ones that seem contradictory — can resonate and be heard? And while I hope this was an isolated incident, I empathize with the folks who made the mistake, or rather mistakes, as it was a series of errors, starting with a tone-deaf story, evolving into an execution that badly misread cultural cues. Had the creative and strategic levels of the typical agency been in play, there would have been great internal debate — lots of it — before this concept was unveiled to the public. I don’t blame the in-house concept, but this highlights one of the advantages of working with an agency: an assurance that a greater variety of voices, including the all-important consumer, will be represented. Or in other words, the echo chamber will be closed for business. Do the names Peter Moore and Tinker Hatfield mean anything to you? While there is still debate as to who coined the phrase "Air Jordan," there is no debate about Moore and Hatfield. They were the primary designers who conceived Nike’s multibillion-dollar Air Jordan franchise — and they worked for Nike. One of the many things that have made Nike successful is it considers itself a challenger brand that defies convention and takes creative risks. I have friends who have worked there, and they’ve said that spirit infiltrates the company at its core. The best challenger brands foster strong and collaborative agency relationships and give their firms the same license. That, too, led Nike’s Air Jordan franchise to flourish. Pepsi — full disclaimer, I used to work there — is a challenger brand. It has and always will be part of Pepsi’s DNA. There has been consistency to its approach. That goes not only for the people who work on the brand, but also for various agencies that support Pepsi. I applaud what Brad Jakeman, president, global beverage group, and others have been doing and saying: deepening its in-house design capabilities, pleading for diversity, and shaking up traditional marketing models. That includes experimenting with in-house creative. In Pepsi’s case, I don’t believe the origin of the campaign — Pepsi’s in-house agency — is relevant. It’s plausible the concept and execution of the Kendall Jenner spot could have come from one of Pepsi’s agencies — and it still would have had to clear the same hurdles. So, instead of pointing the finger at Pepsi’s "in-house agency," let’s use the campaign as a teaching moment to examine how companies can best marry internal and external talent and capabilities. How can companies remake their marketing departments and encourage experimentation and innovation with their own talent and their agencies? Let’s view the Pepsi example through the lens of how companies and agencies can work together to grow each other’s business and create enduring relationships. After all, I still have my 1986 Air Jordans. PRWeek’s View: Companies need diversity — and they also need diversity of thought. If they’re not getting that from internal units or in-house agencies, they should look outside for a greater range of opinions.